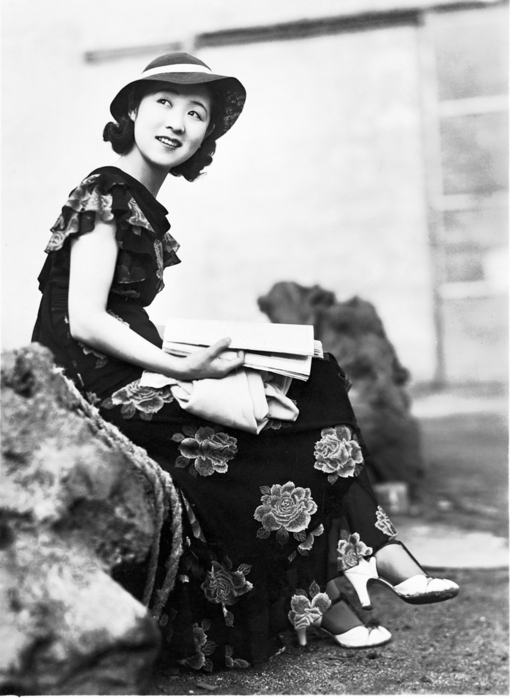 Tanaka Kinuyo (1909-77) was one of the first female stars of Japanese cinema, achieving true star status in the 1930s when Japanese studios produced more films than Hollywood. Her stardom lasted into the 1950s when she became known to international audiences for her roles in the films of Mizoguchi Kenji which won prizes at Venice. But, just as important, she was only the second Japanese woman to direct a feature film and went on to direct a total of six titles in the 1950s and 1960s. 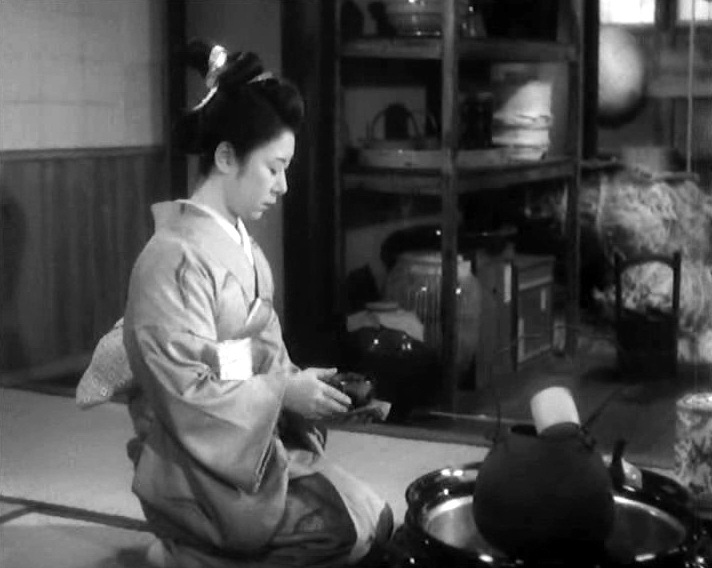 Leeds Film Festival is mounting a five film retrospective of Tanaka’s acting and directorial career with one film each from Mizoguchi, Ozu (see Keith’s review of A Hen in the Wind) and Naruse (see Keith’s review of Mother) and two by Tanaka herself. A half-day workshop was organised by the University of Leeds Centre for World Cinemas and the Mixed Cinema Network with the support of the Japan Foundation and the Sasakawa Foundation. 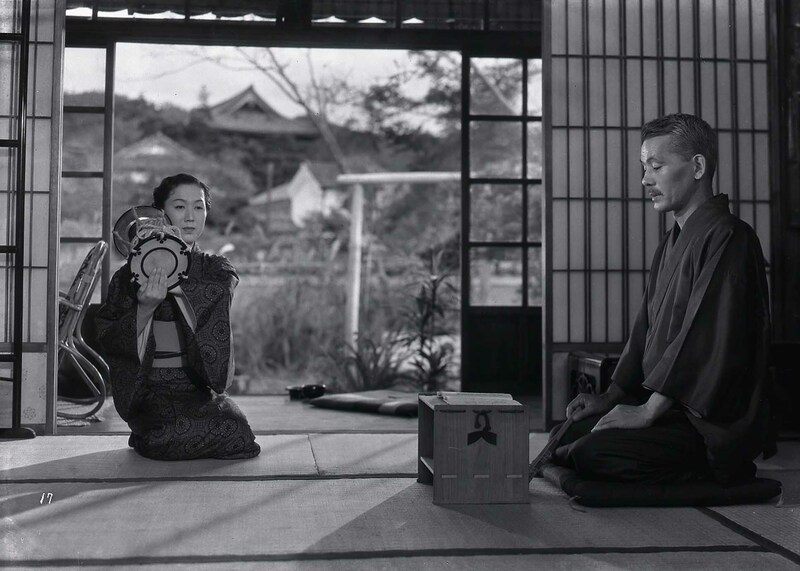 The workshop was introduced by Michael Smith from the University of Leeds, who sketched out Tanaka’s career as both actor and director and argued strongly for her importance in world cinema – which has not, as yet, received appropriate recognition. He argued that her relevance was three-fold: she was the first woman to develop a body of work as a director, she worked over a long period when the lives of Japanese women were changing at a faster rate than ever before and she made films as both actor and director that focused on women’s lives. Smith’s introduction ably served to provide the context for the more focused papers of the other three speakers to work effectively. He told us about Tanaka’s trip to Hollywood in 1949 (a ‘goodwill’ trip during the period of Occupation) and how on her return she was criticised because she appeared to have picked up American mannerisms. Tanaka’s star image had developed in such a way that she could represent both the ‘modern’ and the traditional Japanese woman – the girl next door and the proto-feminist career woman. As such her star image was important to Japanese audiences. Irene Gonzalez from SOAS then explored the two Tanaka-directed films in the festival programme in terms of their themes of women’s lives in the context of Japan in the 1950s. The Eternal Breasts (1955) is a romance melodrama about a young poet who was diagnosed with breast cancer in her early 1930s. Girls of the Dark (1961) is a story about young women and prostitution that refers to the earlier genre cycle of panpan films about the officially sanctioned prostitution during the Occupation. Prostitution was made illegal in 1958 but by then it was well-established institutionally. Both films were written by Tanaka Sumie (no relation), a ‘Christian feminist’. Gonzalez looked in detail at a sequence from Eternal Breasts in which she questioned the ‘female gaze’ in terms of both one woman looking at another on-screen, but also a female filmmaker creating an image of a potentially sexualised woman for the gaze of a cinema audience. This was then taken into a discussion of Tanaka’s approach to the ‘taboos’ of breast cancer and the daily lives of prostitutes. The conclusion was that though Tanaka was relatively conservative in her aesthetics (she was influenced by the great directors she had worked for as an actress) she was certainly prepared to take on the taboo subjects. Irene Gonzalez explained that the original novel for Girls of the Dark included explicit homosexual relationships between the women. Tanaka Sumie’s script avoided homosexuality altogether, but Tanaka deals with it without being explicit. Two other points were made by Gonzalez that I thought were interesting. The first female Japanese filmmaker was Sakane Tazuko who made a feature in 1936 but then went (was sent?) to Manchuko (Manchuria), presumably to work in the Japanese film studio there. She made no further films when she returned from Manchuria after 1945. The actress who played the luminous star role in The Eternal Breasts was Tsukioka Yumeji, Nikkatsu’s main female star of the period. I’d have liked more about the industrial context of Tanaka’s work – perhaps I need to do some digging. The third paper by Lauri Kitsnik from the University of Cambridge was entitled ‘Dancer, Doctor, Virgin, Wife: early star image of Tanaka Kinuyo’. This was a most enjoyable presentation in which Lauri’s enthusiasm was matched by the clips from early silent films including Dragnet Girl (1933) and later films of the 1930s including Yearning Laurel (Tree of Love, 1938) in which Tanaka is a nurse singled out to sing at a concert. Another, Kinuyo, the Lady Doctor (which I haven’t managed to find on IMDB) showed Tanaka in what I presume was a romantic comedy with an almost slapstick scene. Lauri Kitsnik certainly opened our eyes to the diversity of Tanaka’s career and raised all kinds of questions about how her star image was handled in the 1930s – again I wanted to know more about how the studios handled their stars like Tanaka. In the early 1930s she was making as many as seven or eight films a year. Many have been lost but some estimates suggest that she made over 200 features. The final paper by Alex Jacoby broached the whole issue of how we understand Tanaka’s performances in terms of the ideologies of the films themselves – and by extension what we might learn by focusing directly on Tanaka rather than on other readings which might be predicated on what we know about the films’ acknowledged ‘auteur directors’. Jacoby’s strategy was to look again at the two famous award-winning films by Mizoguchi Kenji, Ugetsu Monogatari (1953) and Sansho Dayu (1954) but to focus on Tanaka rather than the usual readings of the films’ resolutions as undertaken by scholars in the West. He then moved to consider other Tanaka films in the 1940s and 1950s, some for Mizoguchi but also for other directors. This was an interesting exercise but I would need to see some of the other films again – or for the first time – to really appreciate what might be learned. However, it was clear that this was a worthwhile project and one which pointed towards a more general re-assessment of directors such as Mizoguchi, taking into account the use of star performers. This paper reinforced the earlier demands for a general reassessment of Japanese stars in the classical period. Many thanks to Michael Smith and Prof. Lúcia Naguib from the Centre for World Cinemas for hosting the event. Great lunch too! The 2010 Workshop run by the Centre for World Cinemas in the Leeds Film Festival is covered on this post. This entry was posted in Directors, Festivals and Conferences, Japanese Cinema, People, Stars and tagged Leeds International Film Festival, star image, Tanaka Kinuyo. Bookmark the permalink. Nice clear report from Roy. I, in fact, found Alex’s paper the most stimulating, possibly because I have seen more of the films? But the whole day was a worthwhile session, and my subsequent viewing of films [like Mother and Sansho Dayu] have been illuminated. One point, the guardian saint of audiences [some catholic holy person presumably] was awake. When one speaker tried to show us the ending of a film programmed for later in the week, her clip would not play.